Clements Worldwide launched its annual Expat Youth Scholarship (EYS) contest, which awards a combined scholarship prize of $10,000 to six expatriate students. With nearly 9,000 participants last year, the 2016 EYS contest is highly anticipated by the expat community across the globe. 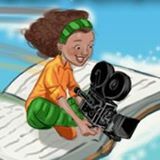 This year, the challenge for eligible students between ages 13 and 21 is to create a 1-1:30 minute video that demonstrates how they will use their experience living abroad to make the world a better place. The deadline for submissions is July 30th. Learn more about the scholarship and get started on your video by reading about the Expat Youth Scholarship on www.clements.com.